BoyRaket.com: Is Blockchain the Future of the Payments in Philippines? Is Blockchain the Future of the Payments in Philippines? Blockchain payment platform UTRUST is going where no other of its kind has gone before. Leveraging a team of experts from various consumer and corporate business, financial, legal, and technical fields, it is building a groundbreaking service that promises to change the way the world uses cryptocurrency. By adopting a familiar experience combined with safety features that render payment fraud obsolete, UTRUST is building the payments platform of the future. Many have hailed crypto coins as the currency of the next generation. One of their main selling points is their decentralized and secure blockchain-based origins. This solves many of the problems inherent in today’s fiat currencies and bank-based payment structures. However, cryptocurrency is still relatively unheard of in the Philippines and most of Asia, owing to the complications arising in their use. UTRUST seeks to change this. The service is the ideal entry-point to increase the adoption of cryptocurrencies in emerging markets, by serving as a bridge between crypto and fiat users. Buyers will able to purchase any product using their favorite coin, without the extra hassle of converting to fiat first. The platform automatically does this, and delivers the payment in fiat money to the seller. This simple process makes UTRUST the PayPal of digital currencies. However, the service really shines in its cutting-edge security features. Imagine being able to shop online with complete peace of mind, knowing you cannot be defrauded. 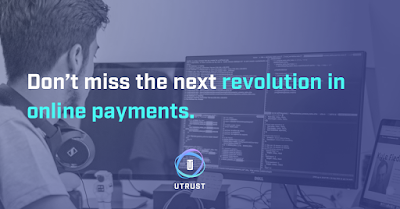 Users can use UTRUST to pay for their purchases — the payment is kept safe in the service’s centralized escrow system, and is only delivered to the merchant upon receipt of the goods. In the unlikely case that a dispute arises, UTRUST’s dedicated resolution team takes action and resolves it within a fixed timeframe. No more waiting for weeks to get your funds back! Home-based entrepreneurs will also benefit by adopting the system. Aside from lower selling fees and faster approval speeds, merchants no longer need to fear the threat of chargebacks. 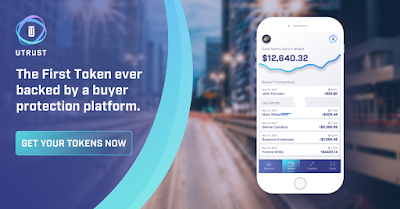 By tapping into the fiat financial system, utilizing an intuitive interface, and building trust between buyers and sellers, UTRUST makes transitioning into cryptocurrencies a breeze. Nuno Correia, CEO, said: "UTRUST sees the potential of cryptocurrencies and digital technology to transform financial services provision in both developed and developing markets. The potential gains are particularly exciting in emerging markets where mobile phone penetration could recreate the role physical banking infrastructure plays in developed markets." The service helps its users break away from the clunky banking infrastructure completely by using their mobile phones as financial hubs. Imagine being able to pay anything through your phone, without a bank account — purchases, mortgages, loans, and more. In a country whose mobile phones far outnumber its own population, UTRUST can change the way Filipinos think of finance. UTRUST will launch its first round of public ICO on September 20th (2PM GMT). There will be a total of 7 rounds, aimed at bringing UTRUST to $50M in funding. The funds will be used to develop features and establish partnerships, as well as to create the UTRUST Token — an Ethereum based coin whose value is directly linked to the platform’s projected growth.